As a young adult it may seem that there innumerable questions that arise about life. We encourage individuals and families to begin to ask questions, think and plan about what the young adult’s life looks like now and what it can be in the future. And we are here to assist! Advocacy provided to young adults includes those who are currently served through the developmental disabilities system in Colorado, those who are on waiting lists for services through that system, and others who have an intellectual/ developmental disability who may not qualify for services. Life is ongoing, and so is planning and thinking - moving ahead as life progresses. This process is usually helped through having access to information and resources on a variety of levels; and at The Arc our advocacy for young adults occurs on a variety of levels. At The Arc we believe that individual advocacy should be tailored to meet each person’s needs, abilities and interests. We strive to listen carefully and understand the situation at hand in order to provide (or find) answers, options and resources most appropriate to the individual and the issue. Individual advocacy involves things like: participating in meetings, helping to understand how systems work (and don’t work), assisting in deciphering information, helping to understand what needs to be done when applying for services in a variety of systems, referral to agencies that provide direct services and much more. Some individuals and families can be assisted through providing referral to community resources, training opportunities or answering specific questions through phone consultation. This type of exchange of information assists many individuals and families gain the knowledge to effectively advocate for themselves or their family member. We help people find answers and resources to a wide variety of questions and issues. If you’re uncertain that we may be able to assist—call us! It is common to provide advocacy in a variety of ways to one individual/family and for a variety of issues. One issue may be assisted by a phone call; another may require attendance at a meeting. No matter what type of advocacy you may have received previously we take into account each situation and respond accordingly. Training and outreach provides group educational opportunities for individuals and families. Throughout the year The Arc conducts various educational trainings on topics relevant to young adults who have a developmental/intellectual disability. The Arc maintains partnerships with a variety of agencies within and outside of the developmental disabilities arena to ensure that the rights of individuals are protected in policy and programmatic decisions. We provide a critical voice in shaping or changing those policies and procedures that affect people with a developmental/intellectual disability. Thinking about and planning for the future helps give everyone peace of mind. Having the courage to face those difficult questions gives young adults control and choice – two things we value deeply when it comes to our own lives. 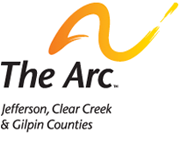 The Arc is here to support individuals with an intellectual / developmental disability, and their families. Talk to us about your questions and concerns. Together we will help you find the answers you need to the questions that arise during this stage of life. Let us help as you find your way.